Kojonup Agricultural Supplies are the exclusive agent for TePari animal handling equipment in Western Australia. Te Pari are a global market leader in safe, efficient and seamless livestock handling solutions. Click here for more information about Te pari products, solutions and their partnership with Kojonup Agricultural Supplies. 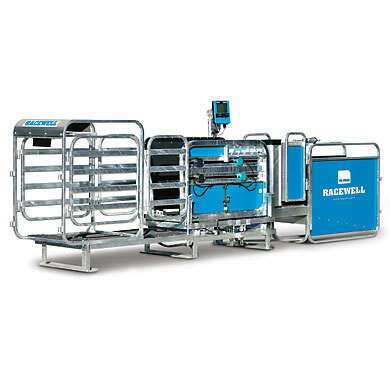 The Te Pari range includes the Racewell Junior Sheep Handler, Racewell Manual Control Handler, Racewell HD Full Auto Handler and the Racewell Super Drafter all of which are highly efficient, sheep weighing and drafting machines developed by Te Pari. Investing in a Te Pari Racewell Sheep Handling System will improve accuracy in marketing, breeding and enterprise decisions. Racewell technology gives you the capacity to accurately and effortlessly measure, manage and market sheep on their individual merit. Remote switch for catch and release. The Auto Drafter (DR) is a simple weighing and drafting machine which utilisers the ‘magic eye’ and radio remote control technology as seen in the HD model. Te Pari has the Racewell sheep handler to suit your sheep management plan! Call Kojonup Agricultural Supplies today!